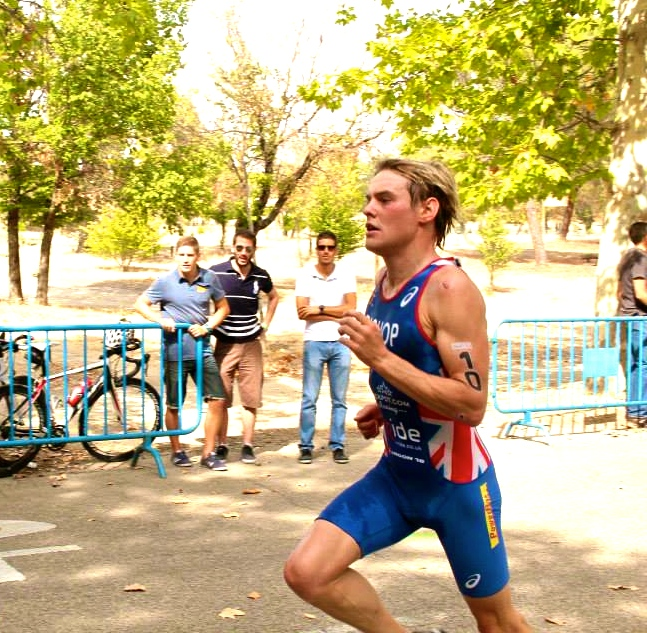 Onto Sunday at the 2014 ETU Triathlon European Cup in Madrid, Tom Bishop put in a storming performance for the standard distance race. Tom finished 6th overall though was hopeful for a podium finish. 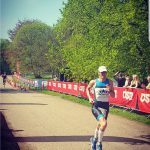 Having ridden 35k of the bike solo, Tom closed down the gap on the run still finishing with a solid result and hindered by tri suit issues! Next stop…Alanya next weekend…with a new suit! Tom – full throttle on the run. Back to Yorkshire and the Ilkley Triathlon with a WIN from Mika Brown on the infamous hilly course. Mika took gold in 57:14 with 1 minute 13 seconds ahead of second place! FANTASTIC! 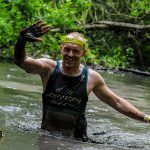 And Ady Stott makes another racing appearance in the same weekend racing in a mixed team pushing out a fast bike leg of 28:30! 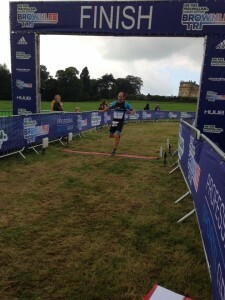 Then over to Harewood House and the Brownlee Sprint Triathlon where Ben Garrard popped a 2nd in his age group position and 11th overall! 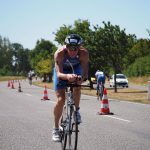 Ben came out of the swim 2nd in his wave, then a long uphill grassy run to the bike which was on closed roads. The run consisted of grassy and hard packed tracks around the estate, including two climbs which reduced some athletes to walking…but not Ben! Ben pushed on to the uphill finish feeling strong all the way. 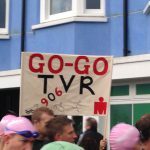 A much recommended triathlon by all accounts. 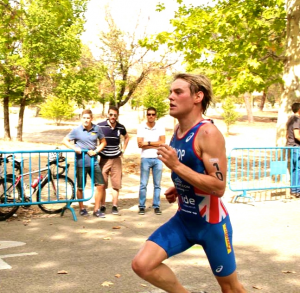 Ben Garrard – racing to the line! Lastly over to the York Rally Sportive where Jenni Muston paced well through the 100k course up into the North Yorkshire Moors finishing joint first lady with her training partner in crime!